Jason Phelan covers the 2018 edition of the annual Bray Air Display in Ireland and shows us why the air display presents great opportunity to see Irish Air Corps and other Irish aviators in action. The 13th consecutive Bray International Air Display in Bray, County Wicklow, Ireland, was held over the weekend of July 28-29, 2018, and has been growing in popularity. Nestled in the scenic town of Bray the dominant feature, Bray Head to the right of the display as you look out to the Irish Sea, with its scenic Cliff Walk, makes for a beautiful location and backdrop for the show. 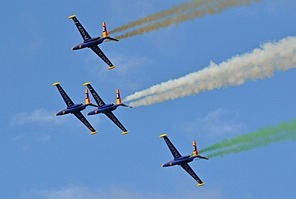 Bray Air Display is a free, family, fun-filled event and has won numerous awards including ‘Best Festival / Event Experience over 50,000 people’ at the prestigious Irish Tourism Industry Awards 2017 and silver in the ‘Best Tourism Initiative’ category at the All-Ireland Community and Council Awards 2018. Up to 140,000 people attended this year’s event over the two days and the enthusiastic crowd didn’t allow the poor weather to diminish their enthusiasm. 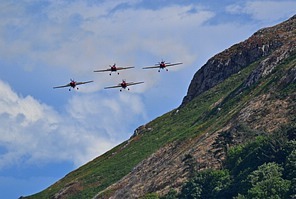 The hardy supporters were treated to solo and formation aerobatics from classic vintage WWII fighters, high powered aerobatic and jet aircraft from many countries, including France, Sweden, Jordan, South Africa, United Kingdom and military and civilian acts from across the Republic of Ireland. Cloudy skies and downpours could not dampen the spirits of the organisers, as they delayed and reorganised display slots on the Sunday to ensure flying would go ahead, which is a testament to the calm skills of the Flying Display Director/Flying Control Committee, Air Traffic Control, and the Pilots. Taking into consideration the shows proximity to Dublin Airport, this was no easy feat to ensure that a safe, flowing and continuous display could take place. The Irish Air Corp displayed a multitude of aircraft on charge, with Role Demos and Close Formation Aerobatics. 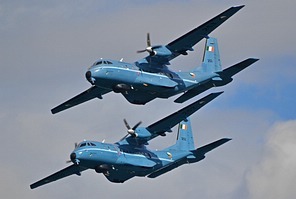 For many the sight of two CASA CN235s in a tight paired display will stand out as the highlight of the Air Corps’ contribution. The world famous RAF Red Arrows, one of the most skilled and accomplished teams on the global circuit, headlined Bray Air Display on Sunday July 29th. Having moved their original slot time by an hour and half to allow for the weather and visibility to break. The team coloured the display site with Red, White and Blue smoke to a very appreciative crowd. The Royal Jordanian Falcons displayed a new and dynamic routine for 2018 in their recently delivered EA-330LX aircraft, demonstrating high energy aerobatics, crossover manoeuvres and formation flying. The Swedish Air Force Historic Flight sent its two-seat SAAB SK 37 Viggen to ramp up the noise levels in a slow but very spirited display. Paul Bonhomme and Steve Jones flying a simulated dogfight and exceptional close formation pairs routine in the P-51D Mustang “Contrary Mary” and HA-1112-M4L Buchón from Air Leasing Ltd based at Sywell Aerodrome, UK. DC-3 Dakota displaying the original livery of a 1940s Aer Lingus aircraft of that era gracing the skies of Bray for the second year. Patrouille Tranchant returned with their V-tailed Fouga Magisters bringing together the Celtic connection with Ireland and emitting coloured smoke to fly the Tricolour of the Irish flag during the display. The finale each day was the Irish Parachute club with a free fall demonstration onto Bray strand. An excellent array of aircraft was on offer for 2018 and I would rate this year’s show a 9.5/10. A well organised and run display that has a very nice mix of aircraft to please the enthusiast, right through to the first time Airshow attendee. 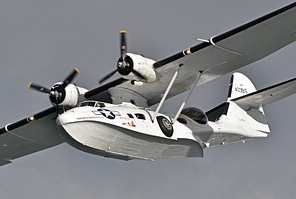 A visit to Ireland and this event, with a warm Irish welcome is highly recommend and would be a great addition to next year’s airshow calendar. The main supporters of the Bray Air Display are the Irish Aviation Authority (IAA) as part of its #AviationIreland campaign to promote aviation across the State. 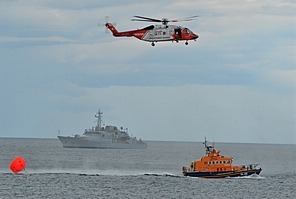 The IAA also supports the Foynes Air Show, which took place on Saturday July 28th in Foynes, Co. Limerick. The #AviationIreland weekend aims to highlight Ireland’s position as a true global aviation hub and as a nation of aviators and innovators. Bray has a substantial public transport network, both north from Dublin and south from County Wicklow and County Wexford. Bray is on the DART Rail Network. The town is also on the mainline Iarnród Éireann (Irish Rail) rail network, which connects north to Connolly Station in Dublin city centre. Five bus companies pass through Bray: Dublin Bus, Bus Éireann, Finnegan’s Bray, Aircoach, St. Kevin’s Bus Service to Glendalough. Anyone wishing to attend the 2019 Air Display can do knowing that excellent public transport links will take you to this scenic part of Ireland. Thank you to the Bray Media Team’s Louise Cassidy and Paul Carney for their help and to Sé Pardy and Rebecca McKenna.